Circuit breakers are designed to keep your home and appliances safe by shutting off the power to certain sections of the home before an overload or similar problem causes damage. Tripped circuit breakers can be inconvenient, but we’ve all experienced them from time to time and they’re usually nothing to worry about. However, if your circuit breaker trips frequently– if the power keeps getting shut off to one particular place or outlet – then it may be cause for greater concern. The Hartford electricians at Electrical Connection Inc. can help. In many cases, a tripped circuit breakers are caused by simple overload of the circuits, when you plug too many lights or appliances into a single outlet. In those cases, you can simply unplug some of those appliances, or move them to an outlet that doesn’t see such heavy use. Other cases are more serious, however. A short circuit may be caused by faulty wiring in your home, or when the hot (black) wire comes into contact with the neutral (white) wire. A short circuit can also be created when the hot wire comes into contact with the grounding wire or a similar piece of bare metal: a condition known as ground fault. Sometimes, the circuit breaker itself may be the problem. Breakers wear out just like anything else, and a weak breaker may trip too quickly or too easily. Regardless of the cause, it’s a good idea to contact a professional electrician rather than attempting to address the problem yourself. If the circuit breaker is tripping repeatedly, leave it off. Whatever the reason, the breaker is doing its job. When an electrician arrives, he can identify what, exactly, is causing the trip and give you an estimate on what it will cost to fix it. 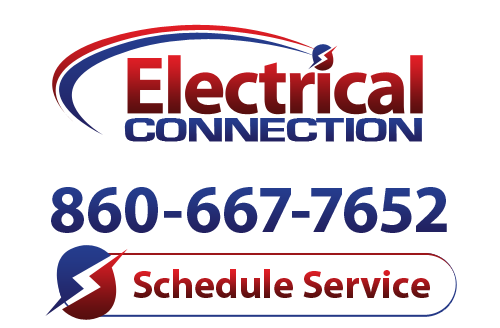 Electrical Connection in Hartford employs electricians with years of experience, and services homes throughout Connecticut. If tripping circuit breakers are causing problems in your household, call us to set up an appointment today. We’ve been in business for almost thirty years and pride ourselves on customer satisfaction.